A 2-year-old boy was injured and died in San Diego 16 years ago while his stepfather did nothing to get him care, a prosecutor said Tuesday, but a defense attorney told a jury that there were still many unanswered questions in the case. In her closing argument, Deputy District Attorney Nicole Rooney said that Jahi Turner died on the second day he was being watched by Tieray Jones, either by inflicted injury or as the result of an accident. Jones got rid of the child’s body and fabricated a story that Jahi was kidnapped from a park about a mile from their Golden Hill apartment, the prosecutor alleged. Jones, 39, was watching Jahi while his wife and the child’s mother, Tameka Jones, was out to sea with the Navy. The defendant had no money and was frustrated with Jahi wetting the bed, Rooney said. In 2002, Jones told police that Jahi disappeared the afternoon of April 25 when Jones went to buy a drink from a vending machine. On the witness stand, the defendant admitted that he actually lost Jahi two hours earlier. The prosecutor said the tot was never seen after April 22. 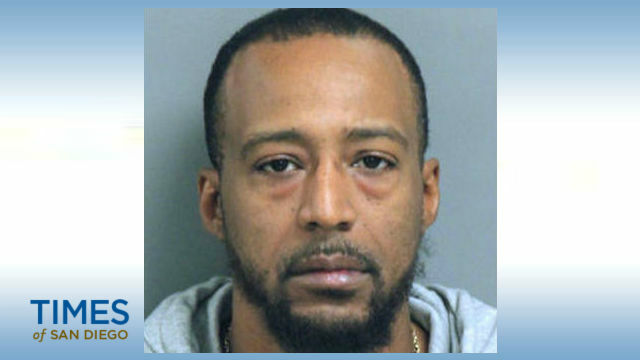 Two days later, neighbors saw the defendant carrying three full large trash bags toward a Dumpster, Rooney said, telling jurors that Jahi “was thrown away like a piece of trash.” The child’s body was never found. Jones told his wife that Jahi fell off the bed and hit his head. The defendant wrote in a journal that Jahi was “lethargic” and was “not really moving” two days before he reported him missing. “I don’t want him (Jahi) hating me for something I can’t control,” the defendant wrote. Deputy Public Defender Courtney Cutter told the jury that police focused on Jones ever since he called 911 to report his stepson missing. “Mr. Jones has always, always been their guy,” Cutter said of law enforcement. “He’s an imperfect father but not a reluctant one,” Cutter said. Jones was flawed, but wasn’t a cold-blooded killer, his attorney told the jury. “If he (Jones) killed him for wetting the bed, why is he writing about it the next day?” Cutter said in his closing argument. Jones was arrested in April 2016 in North Carolina and brought back to San Diego to face charges of second-degree murder and child abuse. Judge Joan Weber dismissed the child abuse count following the prosecution’s case. Jury deliberations were to begin Wednesday.